Welcome to Shell Havenâ¦ Beach in the Front Yard, Bay in the Back Yard - BEST OF BOTH WORLDS!! NIGHTLY RENTALS ALLOWED!!! 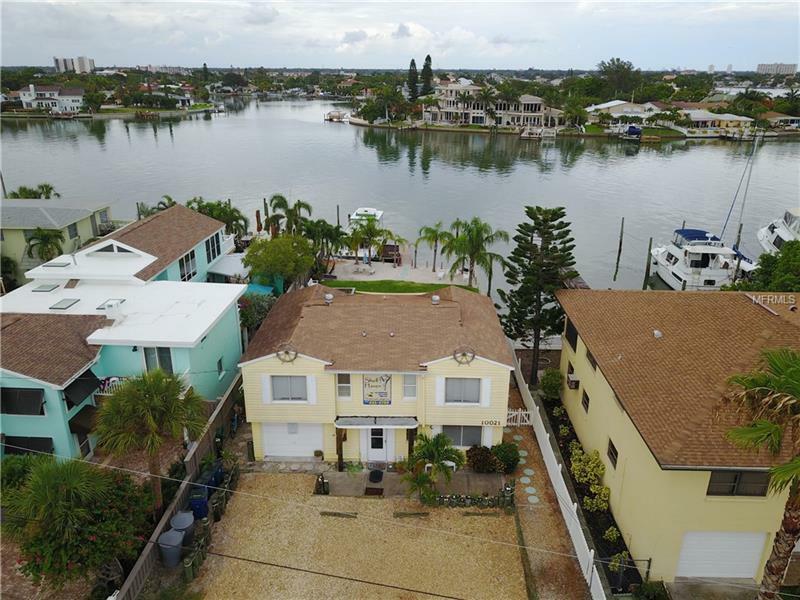 Hereâs your chance to own a waterfront vacation rental property on one of the most sought after locations in all of the Tampa Bay Beaches with NO RENTAL RESTRICTIONS! The Shell Haven is located on the narrowest part of Treasure Island halfway between Johnâs Pass and Blind Pass. One of the only locations where you can see views of the Gulf in the front and intercostal water frontage in the back and is also grandfathered into nightly rentals. Guests are able to walk across the street to the beach and still have the ability to come and go by boat in the back! The Shell Haven can be rented nightly, weekly, or monthly but is also grandfathered residential so you can live in one unit and rent out the others! There are 4 1/1s plus a House Boat. All units feature a full kitchen with cooking utensils, microwave, coffee maker, linens- all included in the sale. Also included is coin-op laundry. This is a turn-key opportunityâ¦maintenance and housekeeping, website and call center can remain in place. Seller occupied property most of the year, so new owner has opportunity to cash in the value on an entire extra unit yearly. Donât pass up your chance to own this Income Producing Property in Paradiseâ¦ schedule your private viewing today! !